Zima - 1 gram - threads - 25.00EUR : Peltuinum, Antica Azienda Agricola S.r.l. Zima® is a "Supersaffron". 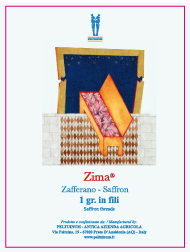 Zima® is the excellence in quality of saffron. 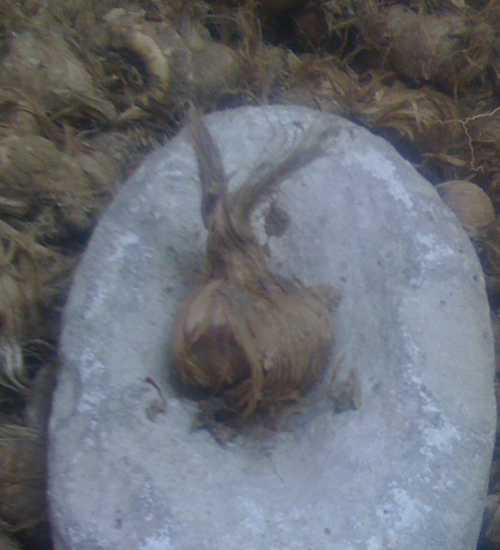 Zima® is the result of important research and development carried out in recent years on saffron and is the innovation of an ancient cultural product. Zima® is a selection of those lots of saffron that, through the careful chemical analysis carried out by few specialized research centers boast features of crocin and picrocrocin useful to the wellness of the person, without prejudice to any other quality features that are tested in all lots of Peltuinum saffron: coloring capacity, taste, smell, moisture, roasting and cleaning of the stigmas. The pack of 1 gram is in heat-sealed sachet.